The Scottish start-up also announced that it was now working with Mount Sinai Brooklyn. 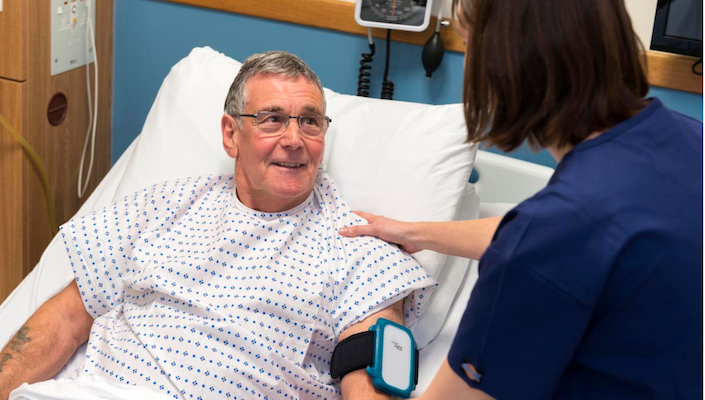 Edinburgh-headquartered Current Health, formerly known as snap40, has received FDA Class II clearance for its remote patient monitoring solution, the Scottish start-up announced today. The announcement follows a recent partnership with the Dartford and Gravesham NHS Trust in England, signed at the beginning of January, to use their solution to monitor patients remotely after discharge. Since then, the NHS Trust’s Hospital at Home team has reportedly been able to reduce the number of home visits by 22 percent. Current Health also announced that it was now working with Mount Sinai Brooklyn. “Current’s continuous and proactive monitoring platform has the potential to alert us to patient deterioration faster and give our team data insights they can act on earlier,” said Dr Scott Lorin, Mount Sinai Brooklyn president. Last year, the start-up closed an $8m seed funding round led by ADV, with participation from MMC Ventures and other private investors. “Our team worked hard to get here," McCann said today, "and it’s just the first step toward monitoring the health of every human being to identify sickness earlier with the goal of saving lives."